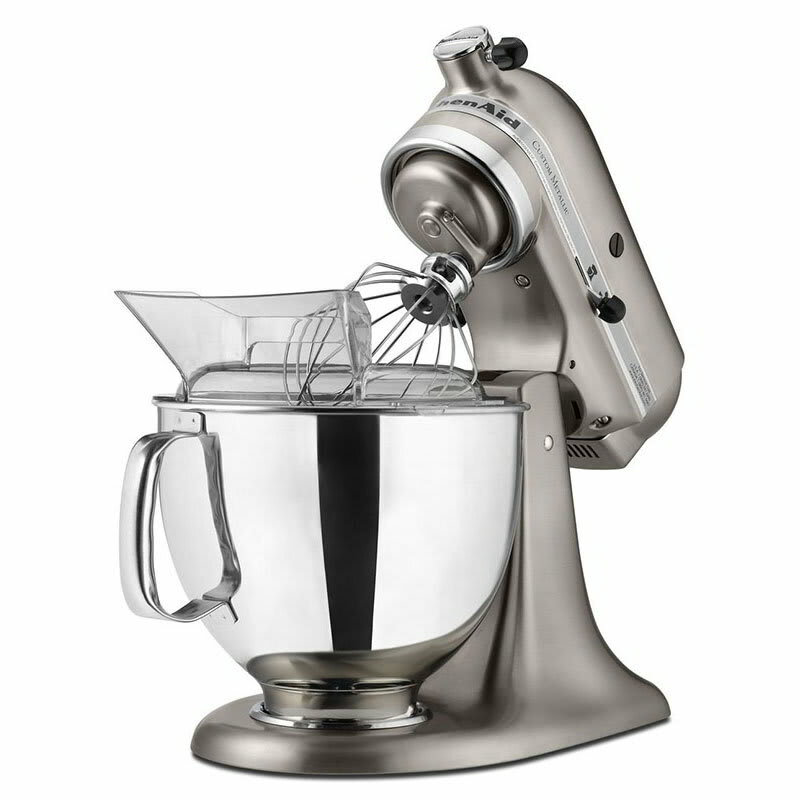 This KitchenAid Metallic® Series stand mixer replaces KSM500PSSM and has a powerful motor capable of mixing up to nine dozen cookies at once. A six-wire whip and 59-point planetary mixing motion provide some of the highest beater-to-bowl coverage of the stand mixer category. This stand mixer comes with a stainless steel five quart bowl, three attachments (coated flat beater, coated C-dough hook, 6-wire whip), and pouring shield. 5 quart Custom Metallic® Series stand mixer, polished stainless steel bowl with comfortable handle, coated flat beater, coated dough hook and wire whip, 2-piece pouring shield, custom 5-step plating process, 325 watts, 120v/60/1ph, Brushed Nickel. Warranty not valid when used in commercial environment such as a bar or restaurant.